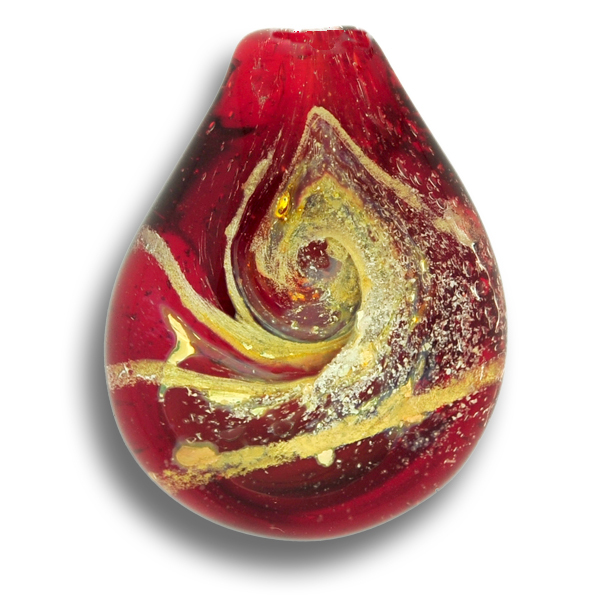 Description: This Cremation Keepsake has vibrant Ruby reds throughout, embedded with cremains, and wisps of gold, silver, brass, and other metals in an optical clear Pyrex glass pendant. Once completed, I will sign the loved one’s first name or nick name, e.g. Dad, Mom, etc. on the back of the keepsake in 22k gold, so as to be Forever in Glass.